The Gorkha Janmukti Morcha has threatened to call a 24-hour general strike in the Darjeeling hills if the state government fails to stop the construction of a tourist lodge at Tiger Hill. 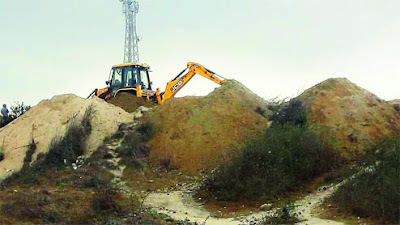 Binay Tamang, the GTA Sabha member and also the assistant secretary of the Morcha, today said: "The GTA chief executive, Bimal Gurung, has written to chief minister Mamata Banerjee, requesting her intervention to stop the construction at Tiger Hill. We will wait for a favourable response. If we fail to get a positive assurance within a week, we will also approach the Supreme Court and call a 24 hour general strike." The West Bengal Tourism Development Corporation Limited has undertaken a Rs 40 crore project to build four cottages, 20 double bedrooms and a 20-bed dormitory at Tiger Hill, 14km from here and at an altitude of about 8000ft. Tourists flock to Tiger Hill, situated 14km from here and at an altitude of about 8000ft, to see the sunrise and early morning rays getting reflected on Mount Kanchenjungha. According to the Morcha, the project site falls under the Senchel Wildlife Sanctuary and it doubts if the construction was taken up with proper environmental clearances. Observers believe the Morcha's decision to take up the Tiger Hill issue in a big way stems from the public opposition to the project. Many apolitical people, tourism stakeholders and environmentalists are opposed to the project. With every passing day, the opposition to the project is growing stronger in the social media. Unorganised groups of people are giving calls to hold rallies or even voice their opposition by changing the profile picture on Facebook. "It is clear that the Morcha has managed to feel the pulse of the people, most of whom are against the project," said an observer.